This contemporary looking bedroom furniture comes with soft close doors as standard. There are angled pilasters to all units and they come with brushed chrome handles. There is the appealing acrylic door and robes with linen look interiors. All robes have additional shelf options and there is also the option for robe lighting. 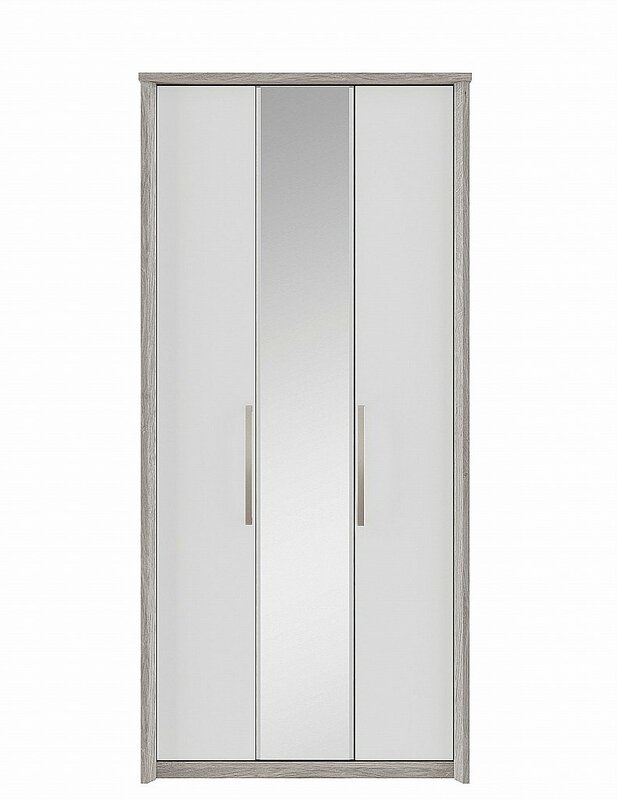 I would like more information about Cosmos 3 Door Centre Mirror Bi-Fold Robe - Oak + White by Kingstown.